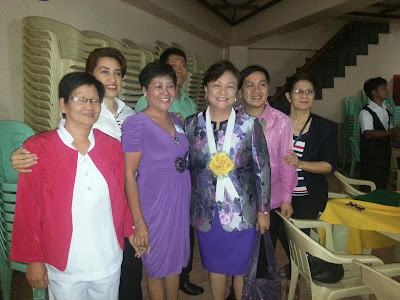 The Philippine Nurses Association (PNA) - Nueva Vizcaya Chapter celebrated it's 64th Founding Anniversary last November 22, 2013. On the same day, their 24th Local Annual Convention was also held with Nueva Vizcaya Governor Ruth Padilla as the main guest speaker. 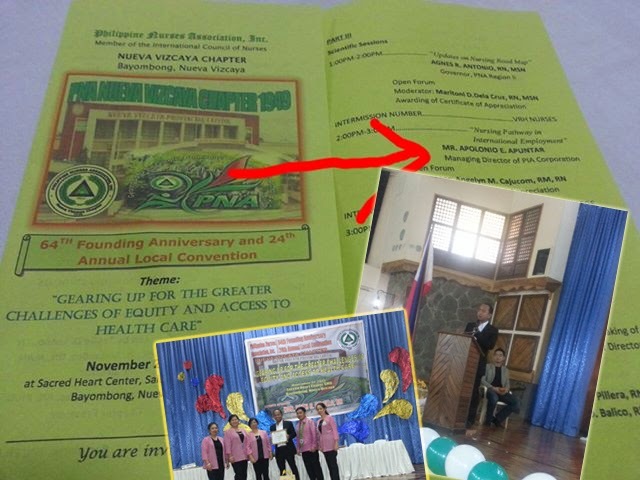 Also invited in the Philippine Nurses Association (PNA) - Nueva Vizcaya Chapter 64th Founding Anniversary as Resource Speaker was Mr. Apol E. Apuntar, President of Proactive Immigration Advisers Corp.
Mr. Apuntar talked about "Nursing Pathway in International Employment". He provided them information about opportunities in Canada and Australia as well as tips on how to document legal work expereince with emphasis on the problem with "volunteer work experience. For nurses in Nueva Vizcaya who are interested to live and work in Canada, visit our Canadian Immigration Consultancy - Nueva Vizcaya office.